A BRILLIANT LIVE RE-VISIT OF RICHIE FURAY'S HISTORICAL MUSIC CAREER!! He also covers his later years, including stunning music from his critically acclaimed albums on Asylum and Friday Music. As a bonus, Richie has also included unseen photos and several studio bonus tracks. Celebrating over 5 decades making great music, Richie will be touring and will most certainly be playing his greatest hits from the stunning "Alive" collection. 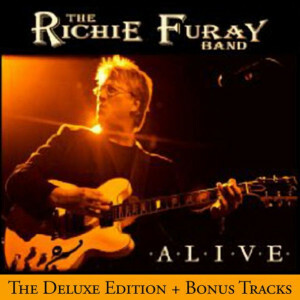 Friday Music is so very proud to have him back on the label, and we think his fans old and new alike will truly dig the artistry and the all around good feelings of the man, the legend named Richie Furay.